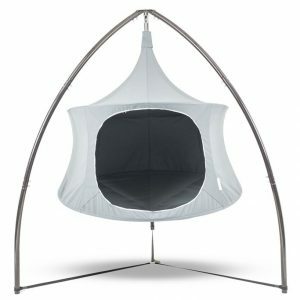 The TreePod hanging storage cover gives you the ability to leave your Lounger or Cabana up outside when not in use. 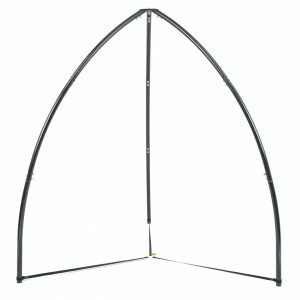 The cover is ideally suited to the 1.5m (5ft) model but also fits the 1.8m (6ft) model. 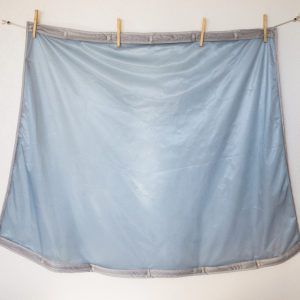 These covers are the perfect way to protect it from the elements – sun, rain and wind. 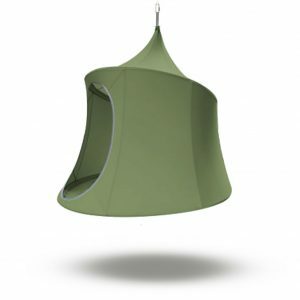 A TreePod is a blend of a hammock/hanging chair/day tent and. They give all users a personal floating tent experience. 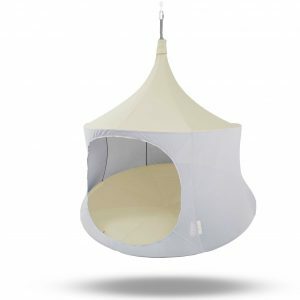 They provide a place to relax by yourself in privacy or hang out with others. All the while offering the perfect space to relax while suspended off the ground. 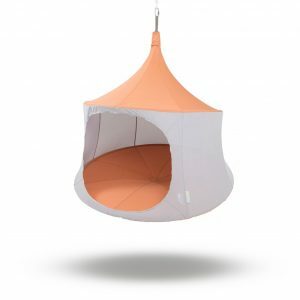 The TreePod hanging storage cover gives you the ability to relax as much or as frequently as you like. 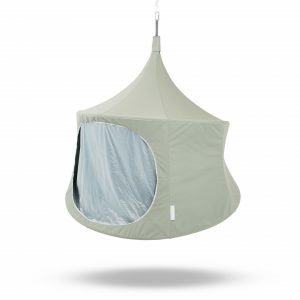 Simply unzip the cover, remove the ties and climb in to your Pod within seconds. Check out the other accessories to really make your experience the best. 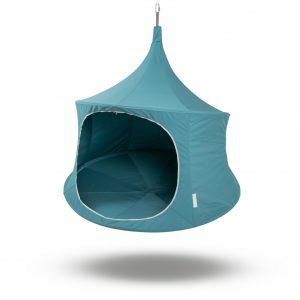 Including a bug door, the rain fly, and also the flat storage case for when you prefer to take your pod inside but not have the hassle of dismantling it completely. If you do not have a structure, or tree to hang your Pod, you should consider the TreePod Stand. 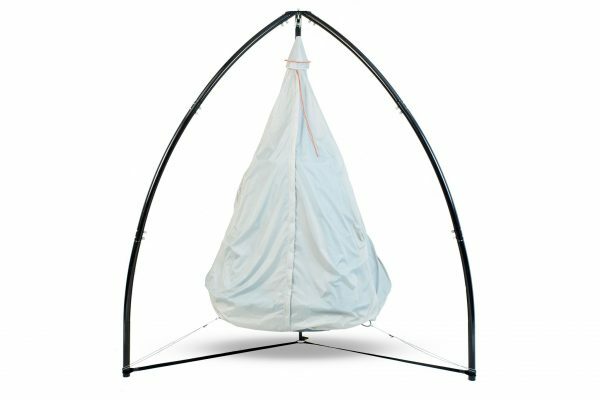 With only one hanging point required, these TreePods take the design of hanging day tents or camping to entirely new levels. Please note – Tripod Stand and TreePod are not included. The current model of hanging storage fits both versions of Lounge and Cabana but is ideally suited to the 1.5m (5ft) models. The cover works well when the tree pod is hanging from a tree as you can adjust the height of the pod BUT it makes the pod too low when used with the tripod stand. The seller says a new model is on its way which hopefully will address this. It’s also quite fiddly to set up (I have to take a stool out to the garden to be able to reach the top to attach the velcro when it comes loose). It’s a really important item to keep the tree pod free from bird poo and give it a bit of protection from the sun so I hope the manufacturer gets it sorted.